The M-12T DOD High Security Crosscut Paper Shredder has been evaluated by NSA and meets the requirements of NSA/CSS Specification 02-01 for High Security Crosscut Paper Shredders. 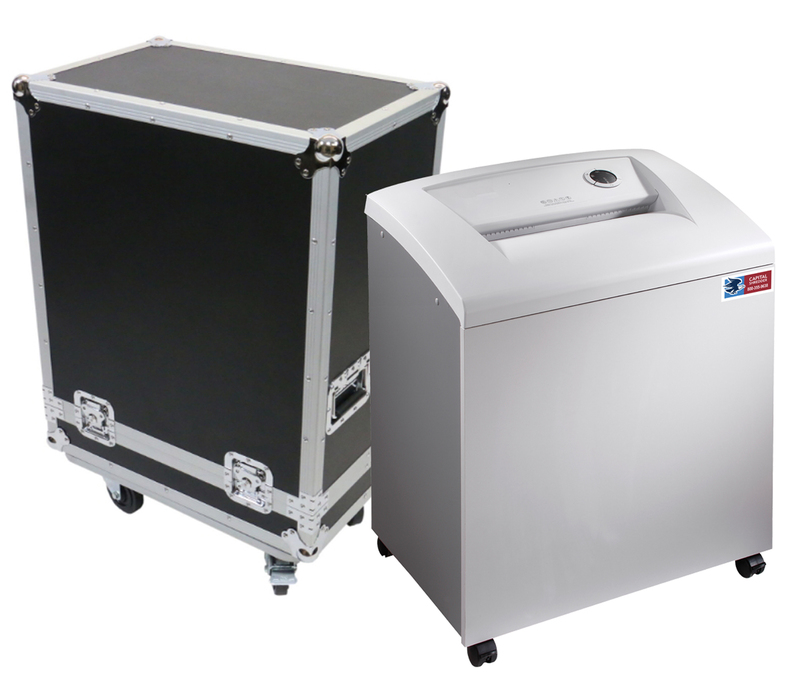 A Level 6 / P-7 Cross Cut shredder designed for the office, it is engineered to give many years of trouble free use. It is built with a cutting head precision milled from solid blocks of Solingen steel and housed in an all steel frame. The 12" feed opening is also reinforced with steel and a Thermally Protected Motor, Chain Drive and Steel Gears all provide for maximum slip-free power. 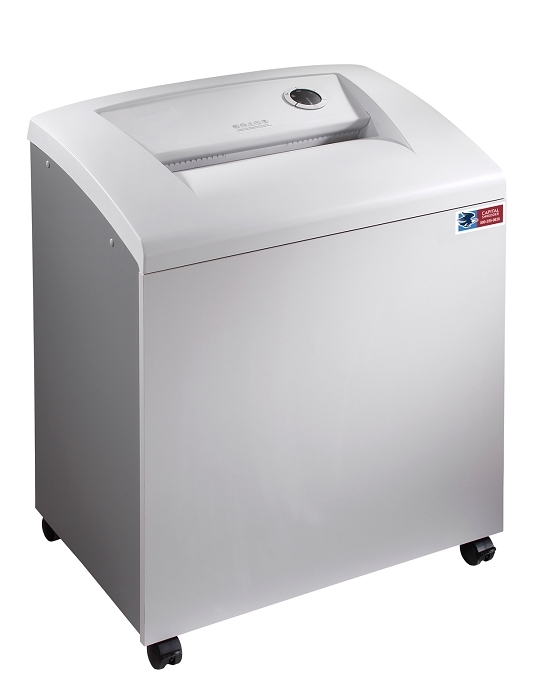 The All Metal Drive system uses no internal nylon or plastic gears as is common in lower quality shredders. 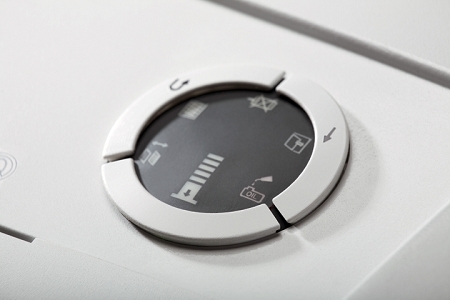 The M-12T includes an Energy Management System which places the shredder in a sleep mode when idle and completely powers down after 30 minutes of inactivity. 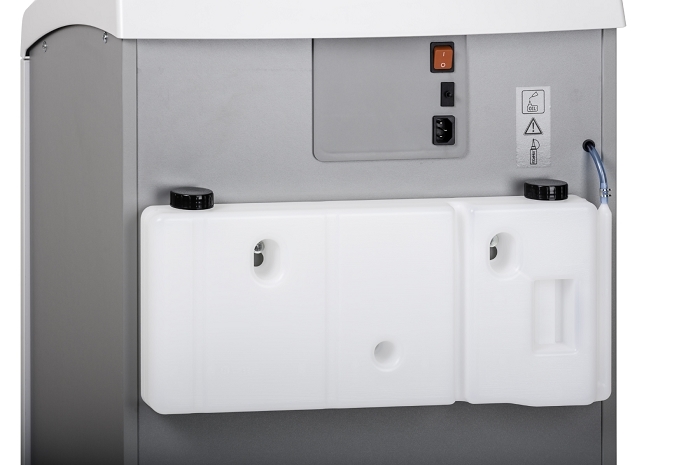 The operator control pad includes all the functions of the shredder and a safety interlock shuts off the shredder when the bag is full or the door is open. An Auto-Reverse feature prevents overfeeding and reduces jamming and a Slim-Line Low Profile 1 Gallon Automatic Oiler ensures peak shredder performance. 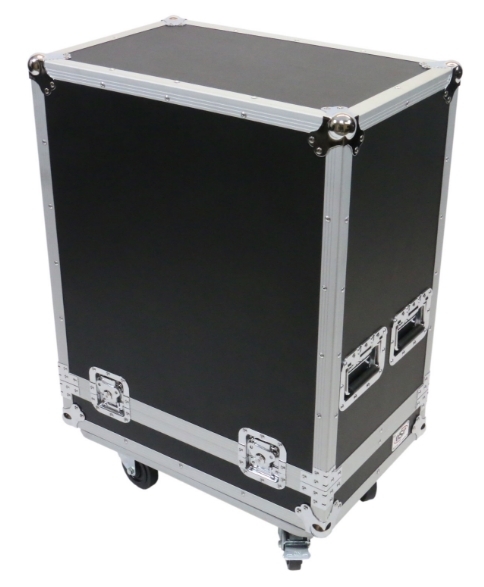 The rubber shock mounts isolate the cutting head noise and vibration and an attractive wood sound deadening cabinet provides for quiet dust-free operation. Swivel casters allow for easy mobility. Trade Agreement Act (TAA) Compliant and includes a High Impact ATA and Military Compliant Deployment Case.